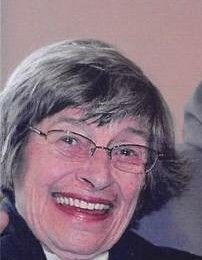 Ann ‘Dody’ Fleckenstein, 81, of Burnsville, passed away Monday, December 3, 2018 at her home. A native of Atlanta, GA, she was a daughter of the late George and Dorothea Mowatt Prince. Dody was very active in the Yancey County Farmers Market for many years. Surviving are her husband of 40 years, David Fleckenstein; her children include; Cory Sawyer and Wendy Sawyer both of Jacksonville, FL and Scott Fleckenstein of West Salem, Wisc; grandchildren: Cory Sawyer, Jr, David Sawyer, Cody Hinson, Sawyer Hinson, Mahli Fleckenstein and Ben Fleckenstein; a sister: Wendy Hoggard of Concord; a brother: Bill Prince of Helen, GA and two special nephews; Jeff and Chip Fleckenstein. Memorials may be made to Yancey County Humane Society, 962 Cane River School Road, Burnsville, NC 28714.